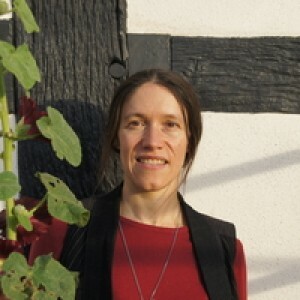 Dr. Franziska Müller is a political scientist and co-leader of a research group on governance & political economy of energy transitions at the University of Kassel.She holds a Ph.D. in political science and a M.A. in political science and cultural anthropology. Her Ph.D. focused on EU-ACP relations and analyzed the change of this postcolonial relationship as a change of governance and normative power, culminating in the advent of characteristic liberal and postliberal governmentalities. Previously she was based at TU Darmstadt and at the Cluster of Excellence "Normative Orders". From 2011 to 2014 she coordinated the VW-funded research project "Challenges of European External Energy Governance with Emerging Powers", together with Prof. Michèle Knodt and Nadine Piefer. For research stays she visited South Africa, Brazil, Botswana, Ghana, India, the UK and the U.S. She is representative of the Section "Development Theory" of the German Political Science Association (DVPW). Since 2012 she is liasion lecturer for the Heinrich-Böll-Foundation. For decades renewable energy has remained a “blind spot” within the sphere of international energy governance. The existing institutional network is highly fragmented, resulting in a myriad of international organizations, which all claim to deal with energy issues, yet do not focus on renewables on a global scale. Since 2009, IRENA, the International Renewable Energy Agency, seeks to fill up this vacuum, thereby creating a new (and maybe more Southern-led) political arena for governing renewable energy issues. This article focuses on IRENA’s role as a changemaker in the sphere of global energy governance by investigating IRENA’s governance practices and contributions to knowledge production. The age of the Anthropocene has developed unique forms and practices of earth system governance, i.e. ways of governing nature and populations on a global/local scale claiming to offer holistic, borderless forms of global/local cooperation that bridge nature/culture/society divides and seek to create a universalised, ‘planetary’ actorness. With regard to climate change adaptation, this actorness is increasingly stretched out to the postcolonial sphere, including small-scale farmer communities, forest-dwellers and indigenous communities, who are all addressed as responsible subjects through the IPCC’s Reducing Emissions from Deforestation and Degradation (REDD+) measures. As a powerful instrument of global climate governance, REDD+ programmes create highly complex regimes, thereby totalising the principle of liberal ‘stakeholder governance’. This article addresses REDD+ as a specific case of ‘Anthropocene geopolitics’ that have discovered ‘the local’ as a site of powerful ecological intervention, taking place in a postcolonial setting. Based on an analysis of inter/transnational REDD+ funds, their activities, outcomes and forms of governing nature and populations, the aim is to identify distinct political technologies that orchestrate the REDD+ regime and discuss how they reshape nature-society relations in the Anthropocene. Challenges of European External Energy Governance with Emerging Powers Edited by Michèle Knodt, Nadine Piefer, Franziska Mueller In a multipolar world with growing demand for energy, not least by Emerging Powers such as Brazil, India, China or South Africa (BICS), questions of EU external energy governance would at first hand appear to be a high-priority. Yet, reality tells a different story: the EU’s geographical focus remains on adjacent countries in the European neighbourhood and on issues related to energy security. Despite being Strategic Partners and engaging in energy dialogues, it seems that the EU is lacking strategic vision and is not perceived as a major actor in energy cooperation with the BICS. Thus, political momentum for energy cooperation and joint governance of scarce resources is vanishing. Resulting from three years of international, interdisciplinary research cooperation among academics and practitioners in Europe and the BICS countries within a project funded by the Volkswagen Foundation, this volume addresses one of the greatest global challenges. Specific focus lies on the bilateral energy dialogues and Strategic Partnerships between the EU and Emerging Powers regarding bilateral, inter- and transnational energy cooperation. Furthermore, the analysis provides policy recommendations in order to tap the full potential of energy cooperation between the EU and Brazil, India, China and South Africa.